NOTE: THIS WEB-PAGE IS NOT CURRENTLY BEING ACTIVELY MAINTAINED PENDING THE RE-ORGANIZATION OF THE SOUTHWEST CHIEF COALITION. YOU MAY STILL FIND HELPFUL SOME OF THE INFORMATION UNDER THE PULL-DOWN TABS (ON THE UPPER LEFT OF THIS HOME PAGE). 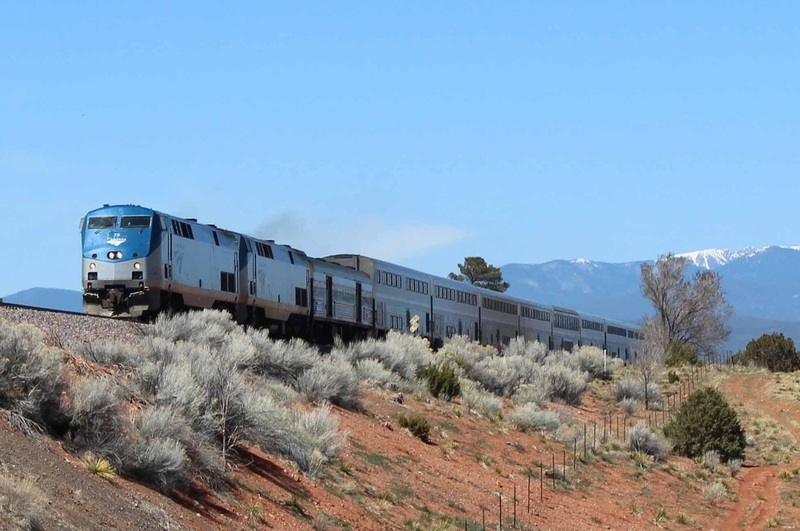 The Southwest Chief Coalition-New Mexico Section is an all-volunteer association of city, county, and state elected officials, business leaders and private citizens who advocate for retaining the Southwest Chief on its current route through Gallup, Albuquerque, Lamy, Las Vegas and Raton. Coalition members understand the importance of the Chief to New Mexico’s current economy, future economic development, and the transportation options available to the state’s residents. The Coalition’s focus is to work with the State of New Mexico, citizens groups in Colorado and Kansas, the BNSF Railway and Amtrak to save the Chief. Click on the lines in the upper left of this home page to access the sub-pages that will take you to important information on the Southwest Chief in New Mexico (including the Chief's positive impact on the state's economy and how it contributes to tourism and mobility for New Mexico residents) and coalition partners. The Southwest Chief Coalition-New Mexico Section is not associated with the National Railroad Passenger Corporation (Amtrak). For any comments or questions about Amtrak, contact Amtrak directly at 1-800-USA RAIL (1-800-872-7245) or visit the Amtrak website at www.amtrak.com. Please send any questions, comments or suggestions about the Southwest Chief Coalition to: [temporarily disabled].